We provide local and long distance towing and roadside services for motorcycles, cars, pickups and other personal trucks, RVs, campers, buses, semi-trucks and trailers, straight trucks, bobcats, forklifts, ATVs, motorized equipment and many more items. We cover a large 250 to 300 mile radius with our service and we will then transport your vehicle to most any destination required. Check out our full list of services below. Rollback service involves the tow truck having a flatbed on the back that can be hydraulically inclined, so that one end is on the ground. This allows the vehicle to be moved onto the flatbed with a winch, so it can be safely transported. This service is extremely useful for transporting wrecked vehicles or vehicles that cannot be placed in neutral. Junk cars are also moved in this fashion. Lowboy service is provided for moving many types of cars and trucks over long distances. Winch outs are often used to remove stuck vehicles from mud or areas difficult to access. We have special equipment to remove your vehicle safely from many different situations. Parking reinforcement service allows businesses and property managers to enforce parking regulations pertaining to their properties. We will remove illegally parked vehicles, when the need arises. Wheel lift service is available. Many cars are towed each day with this method. Motorcycle towing is offered for any make or model of motorcycles. This is available whether you breakdown on the side of the road or have an accident. Motorhomes can be safely delivered from one place to another using our service. You can rely on our reliable service to do the job for you. Load shift service is offered to help a driver get back on the road after issues with his load. This will help get the goods to their intended destination. RV towing is another specialty of ours. You want your RV towed in and fixed, as soon as possible, so you can get back to having a good time traveling. Buses fall under this category, because of their large size. These vehicles can breakdown or have other issues causing them to be towed in for service. Call us and we will handle these large vehicles with the proper care. We also haul heavy equipment from place to place. 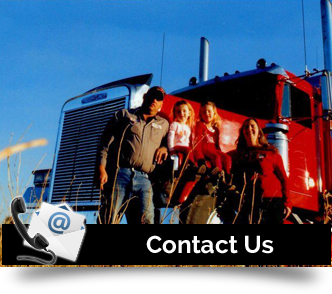 Landoll service includes hauling all sorts of equipment on specially designed trailers. A Traileeze sliding axle trailer is available for hauling disabled equipment. Load swap service is provided for those trucks that breakdown and need the loads transferred to another truck. We can also pick up broke down trucks and trailers that need repair. Accident recovery, which also includes overturned trucks, cars damaged in collisions or many other mishaps that can happen where a vehicle could be inoperable and not able to be moved otherwise. 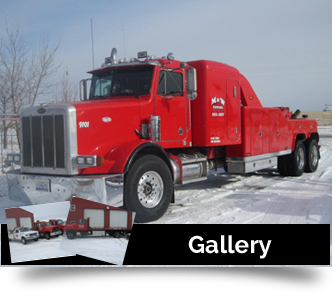 Tri-axle heavy haul recovery and lifting is available. Jump-starts for those batteries that lost charge are part of the services we offer on a routine basis. Fuel delivery from us will get your vehicle to the nearest gas station for a fill-up, when you run out of gas at the wrong time. Lockout service is provided for those times you lock your keys in your car. Tire changing service is provided for many vehicles when flats occur. Mobile battery replacement is provided for batteries that cannot be jump-started. Minor service work on the engine or other parts may also be included depending on your issues. Our trained professionals will provide all these services. 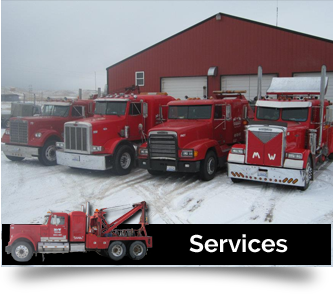 Just call M & W Towing at (605) 923-1927 or at 800-923-1927 to see if indeed we can solve your problems. Remember, we are available 24/7 for your convenience.